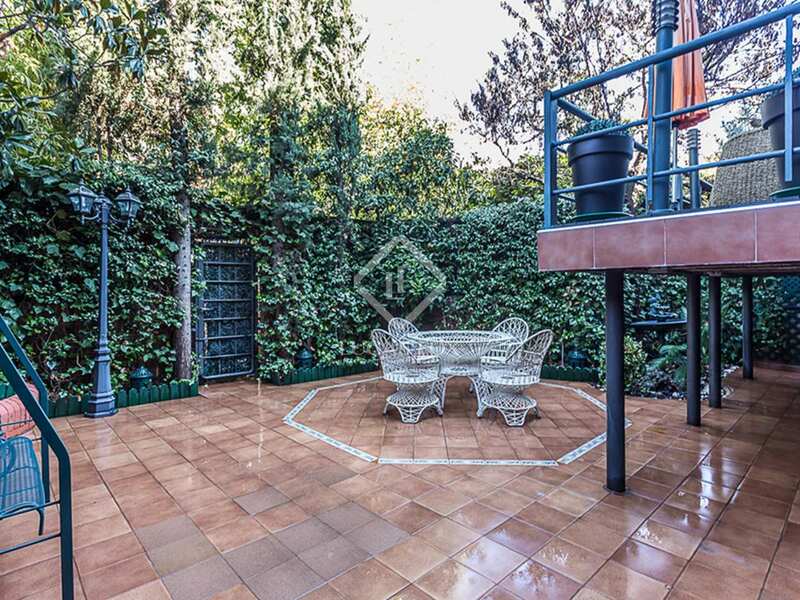 Spacious, peaceful, luxurious family villa with a private garden and a communal swimming pool for sale near Nueva España, in Madrid. 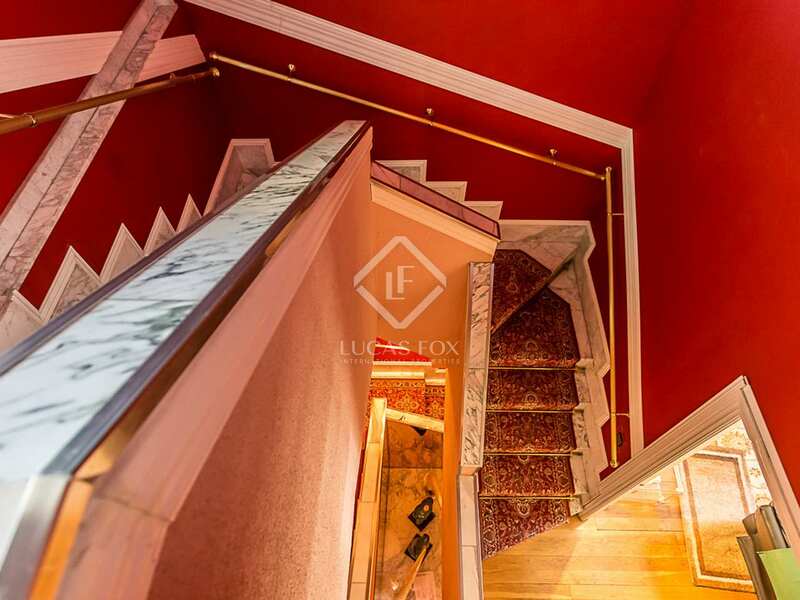 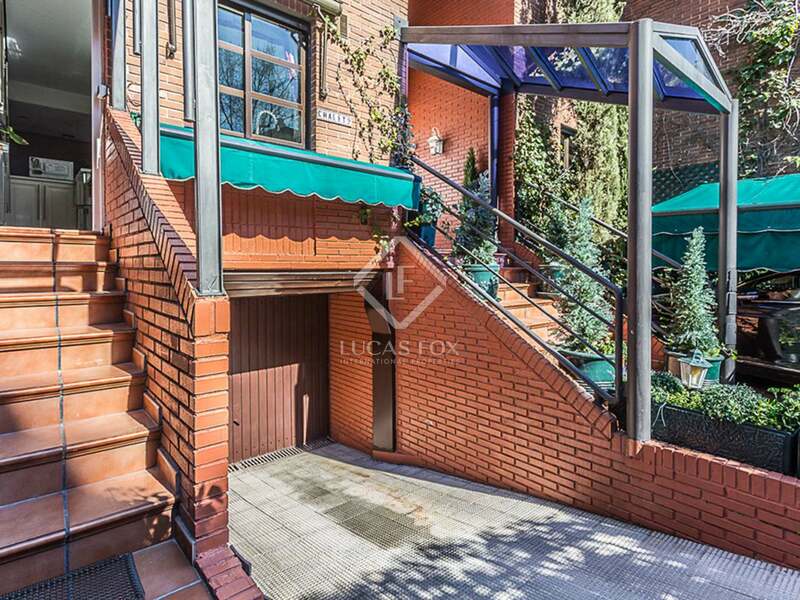 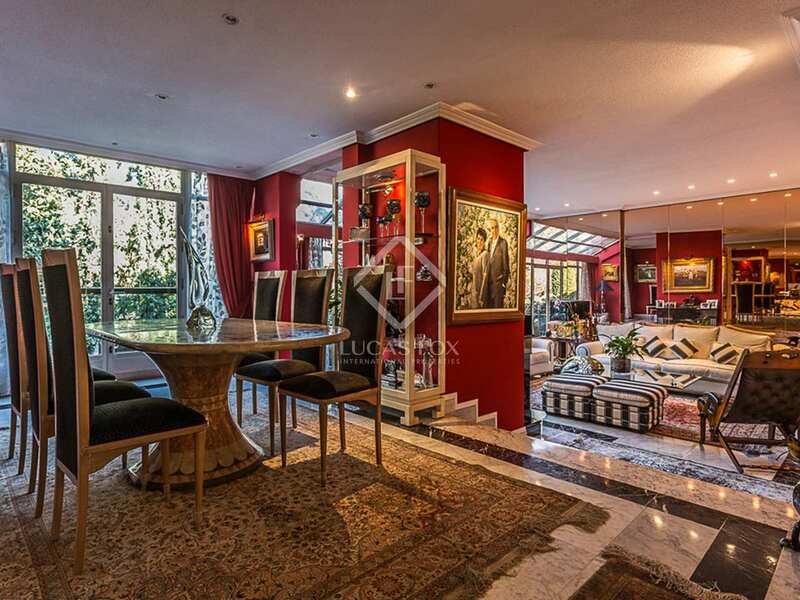 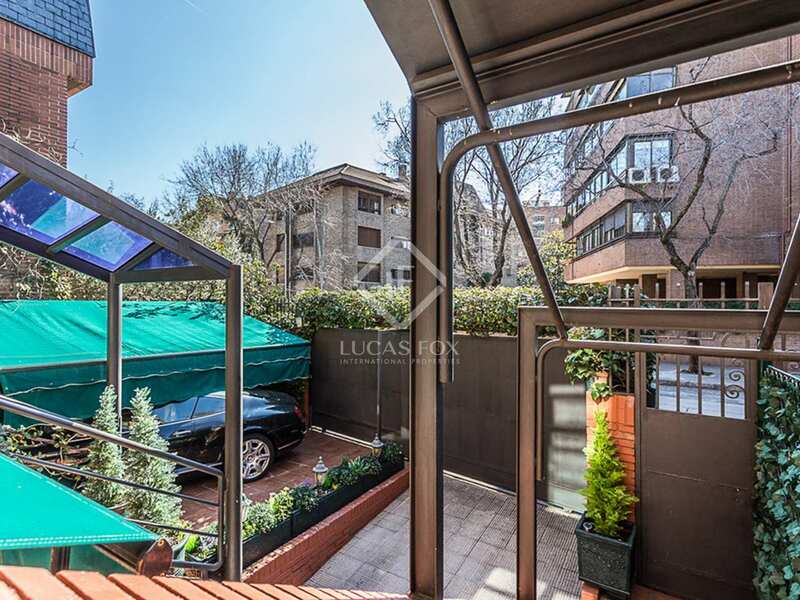 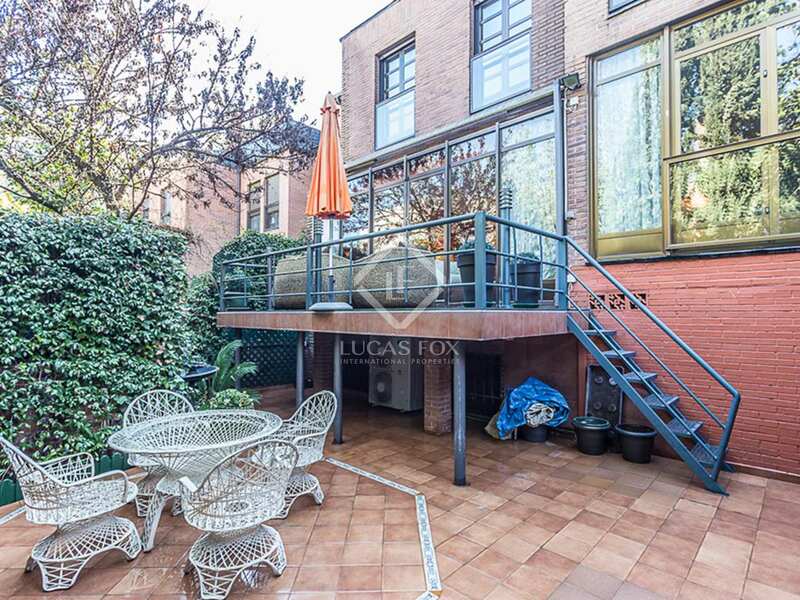 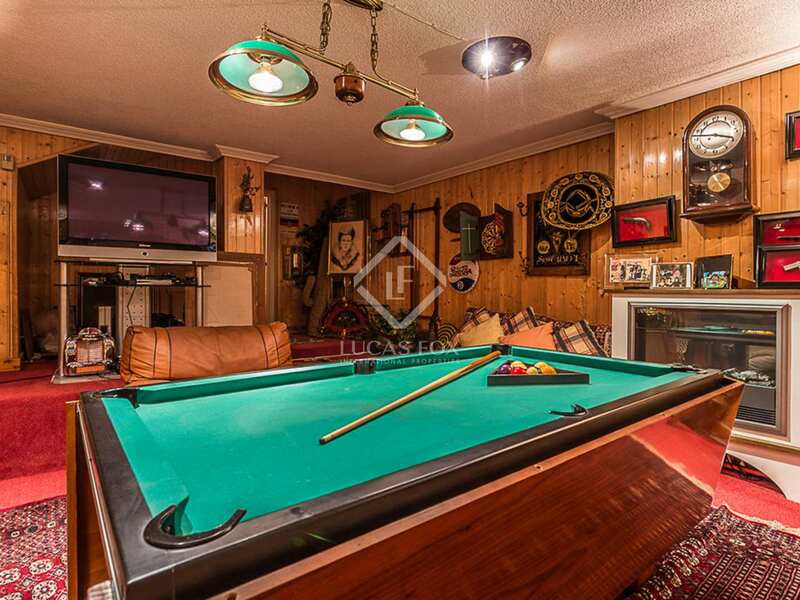 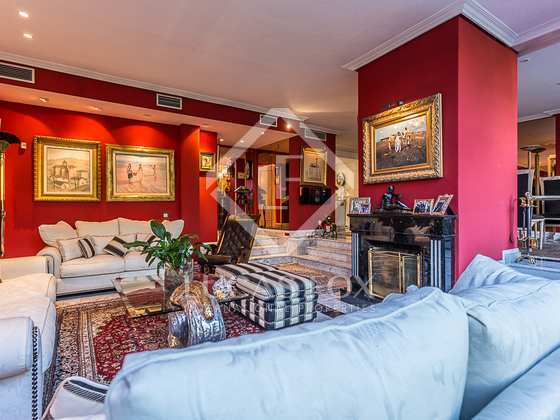 Modern 480 m² house with 5 bedrooms, 5 bathrooms, service quarters, garage, a private garden and a communal area with a pool in Madrid City. 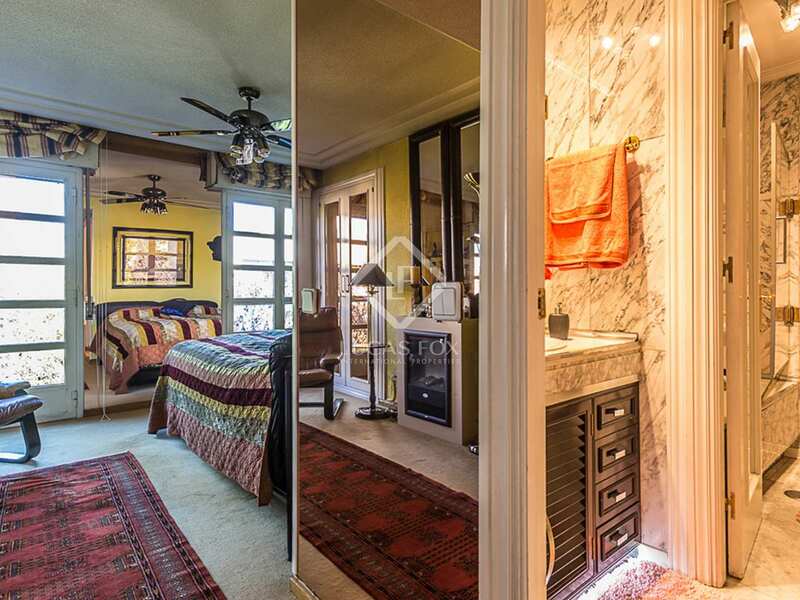 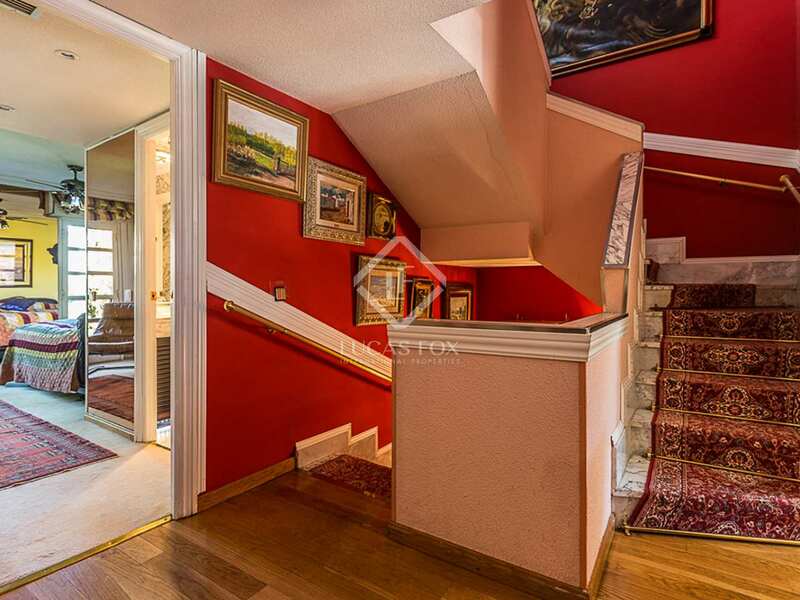 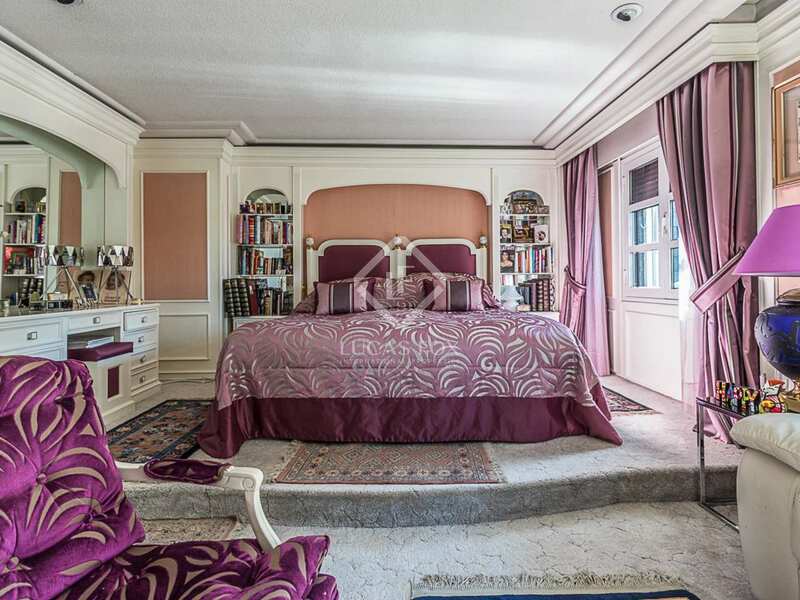 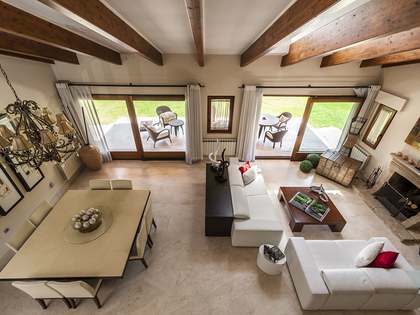 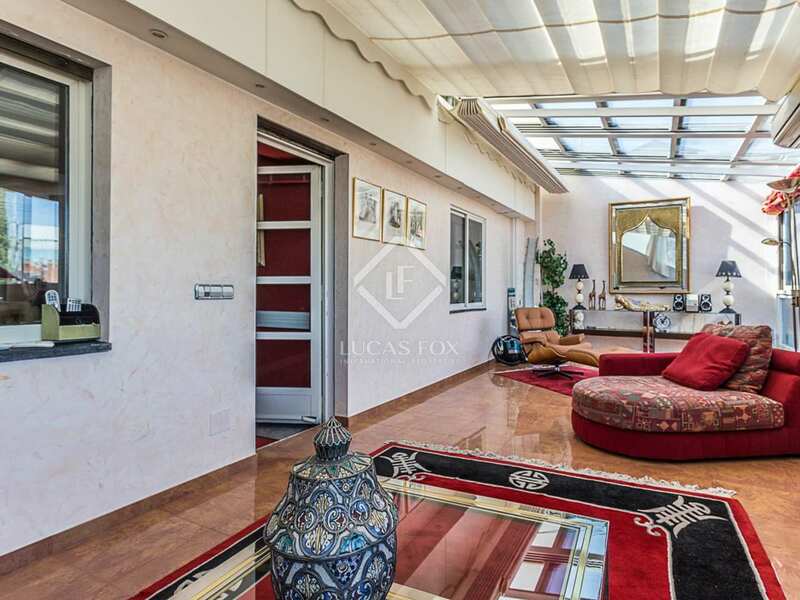 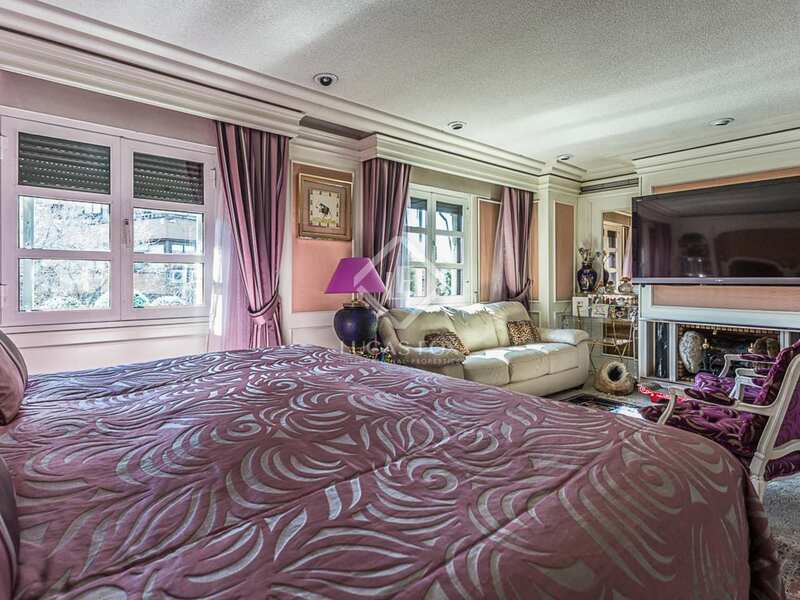 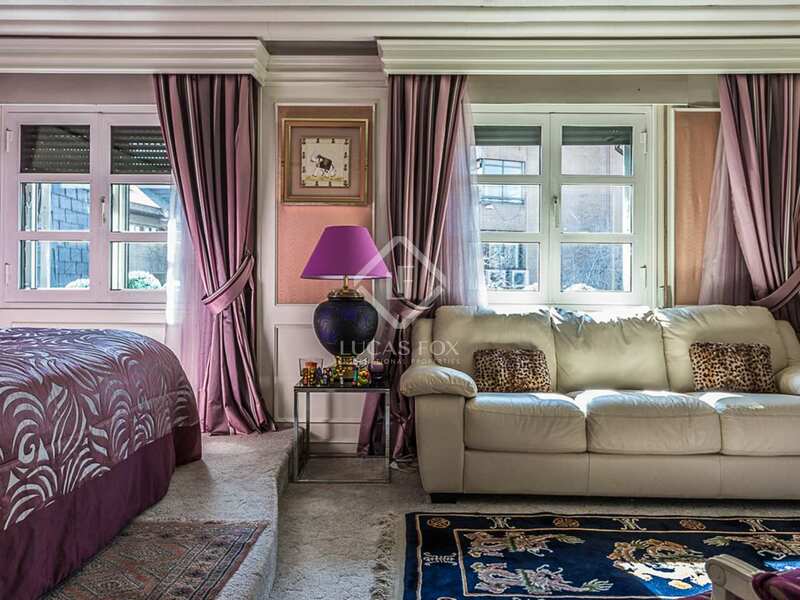 The villa was renovated and enjoys views of the city from the upper floors. 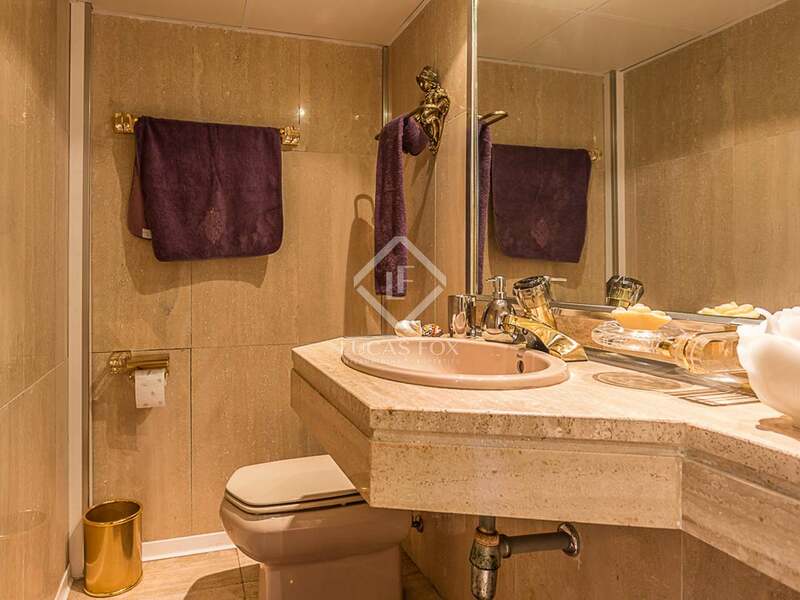 On the ground floor we find the entrance hall, study, kitchen, guest toilet and the living room – dining room which leads out to the terrace and garden and on to the communal pool area. 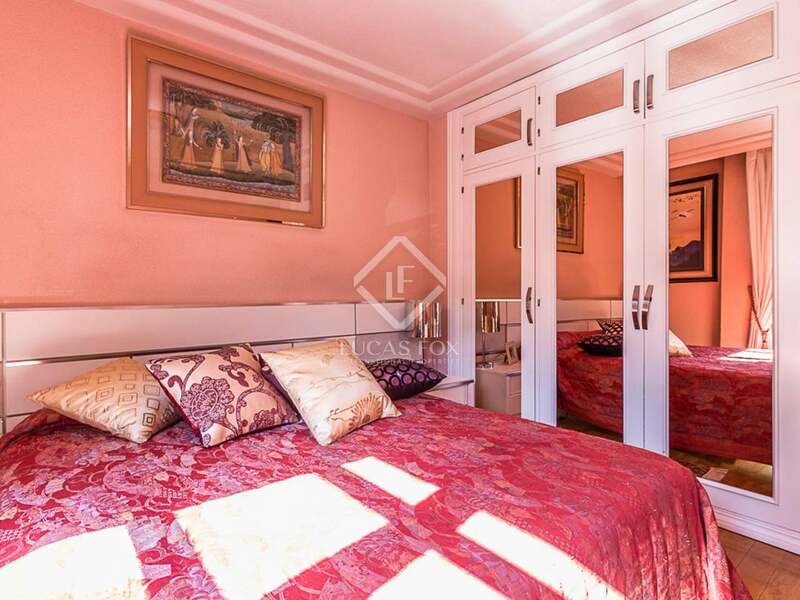 The first floor of the house offers 4 bedrooms and 3 bathrooms while the second floor houses the spacious master bedroom with a dressing room, a private bathroom with a sauna, library and access to the rear terrace. 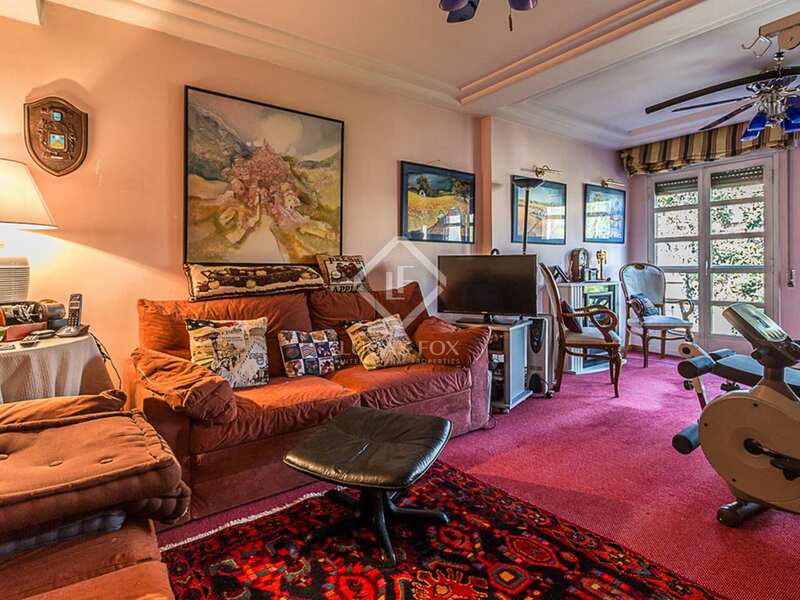 The lower ground floor is divided into a garage, pantry, service bedroom and bathroom, a utility room and a games room with access to the rear garden through the porch and with stairs to the ground floor. 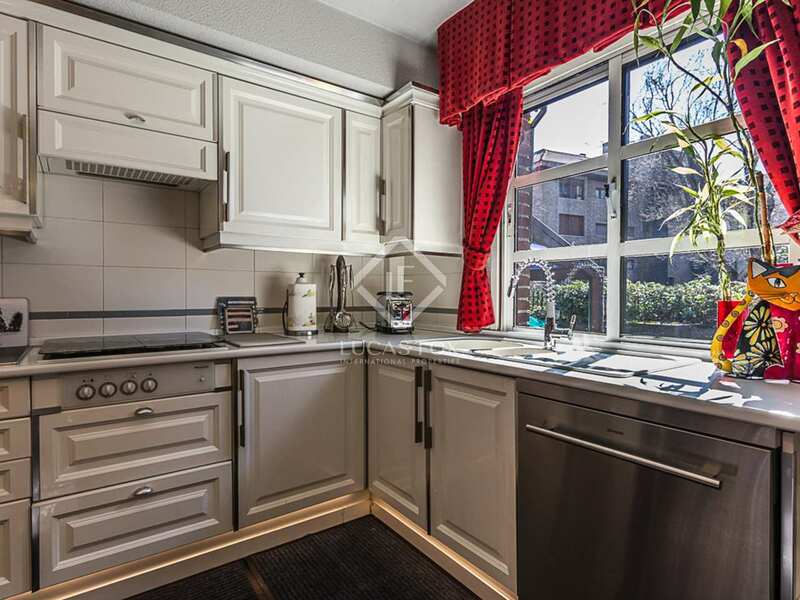 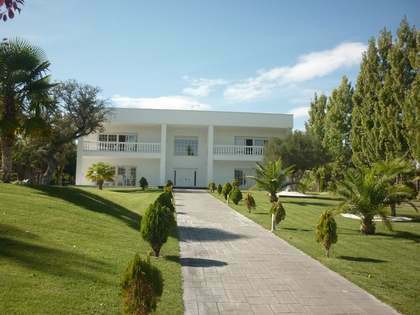 An ideal property for families with a private garden and excellent communal facilities. 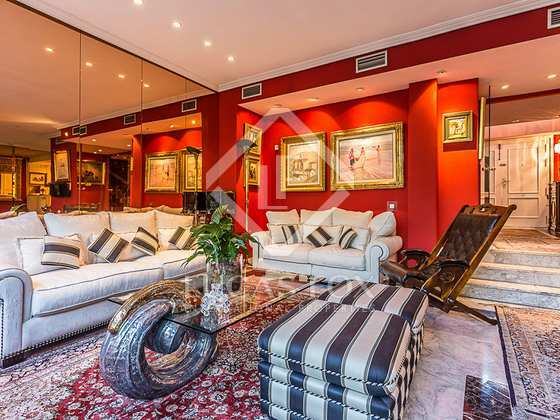 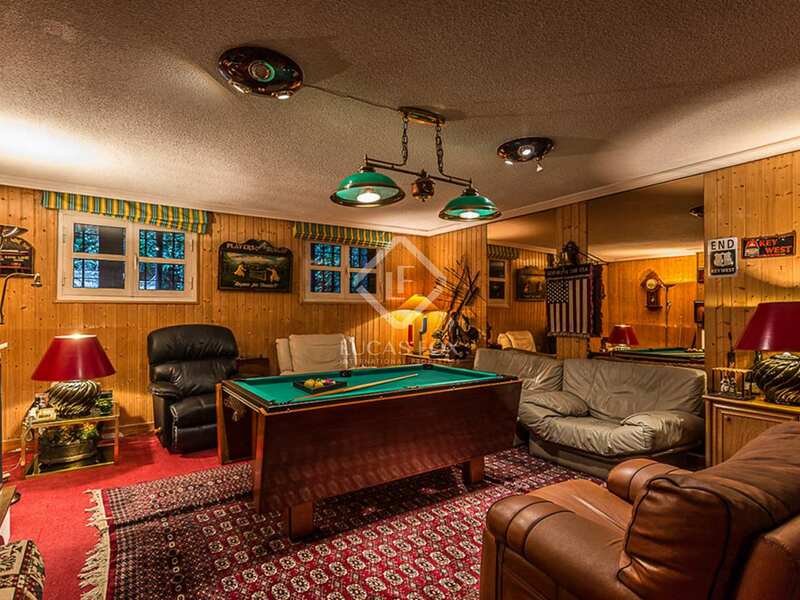 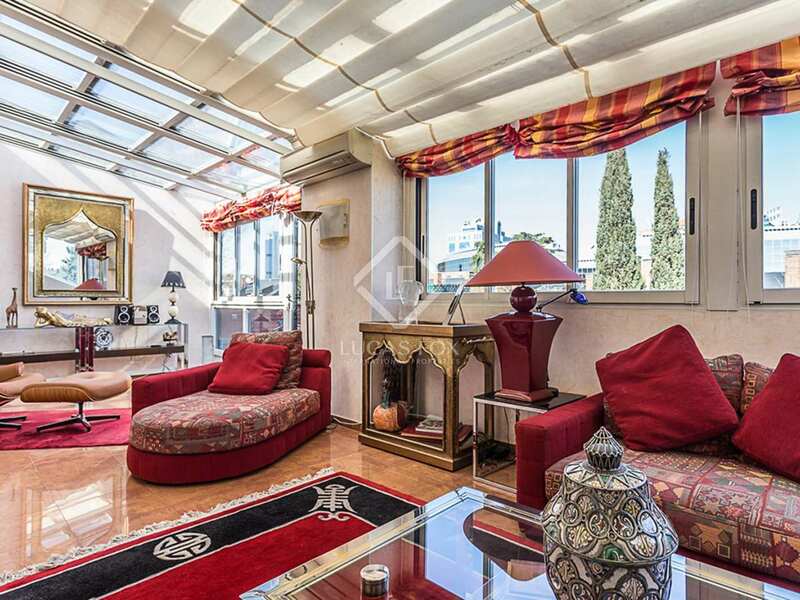 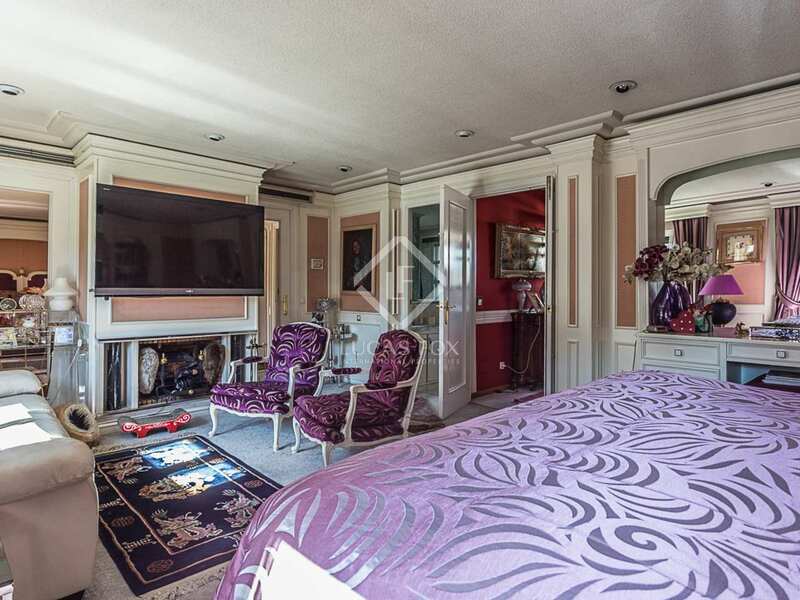 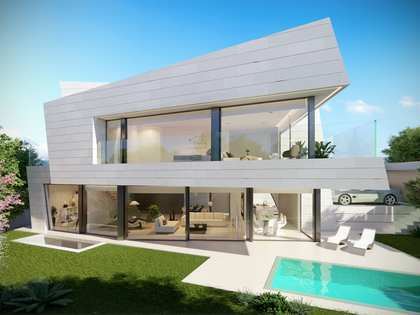 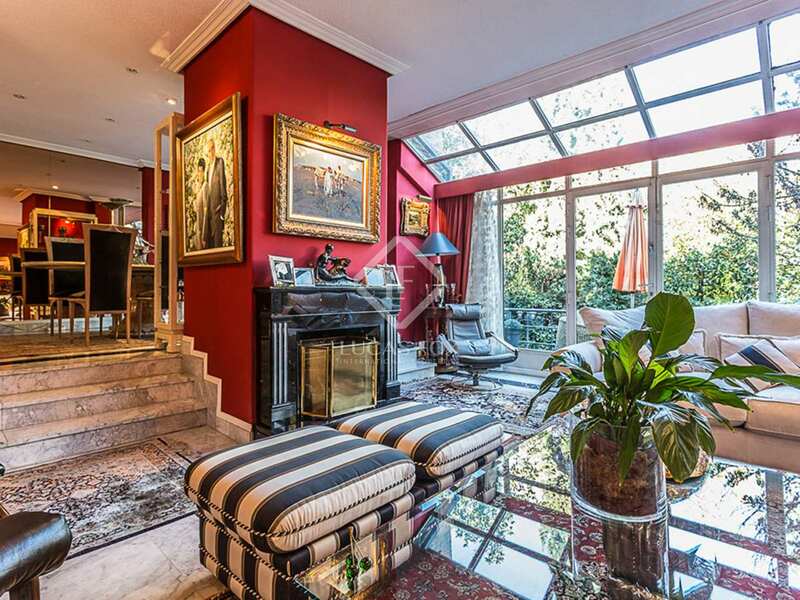 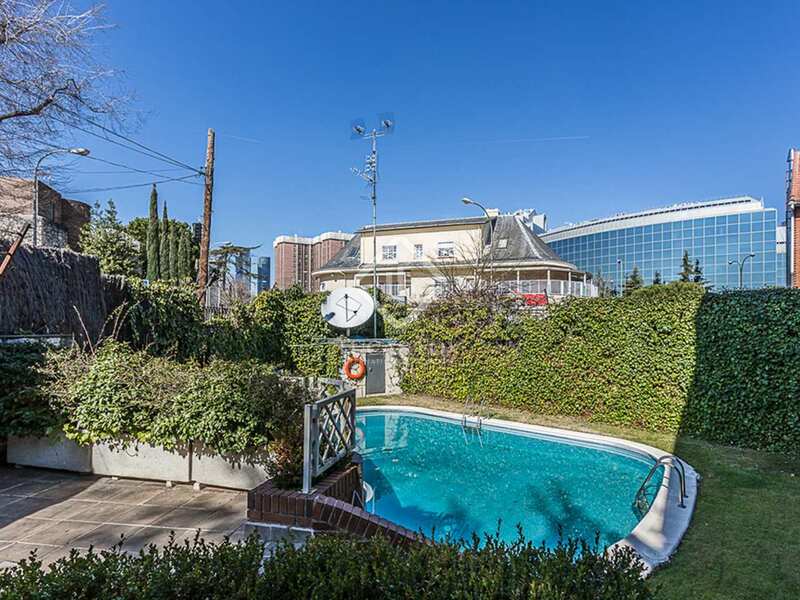 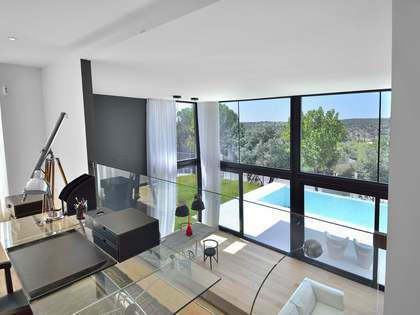 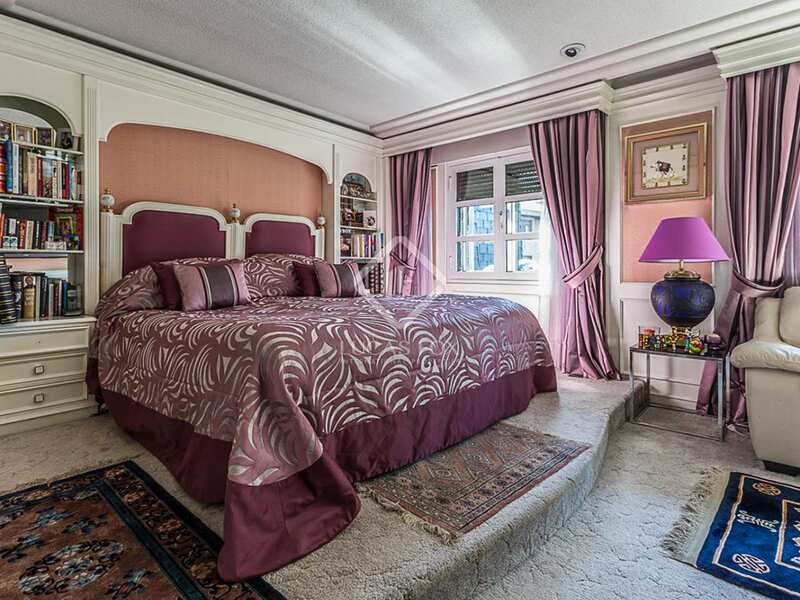 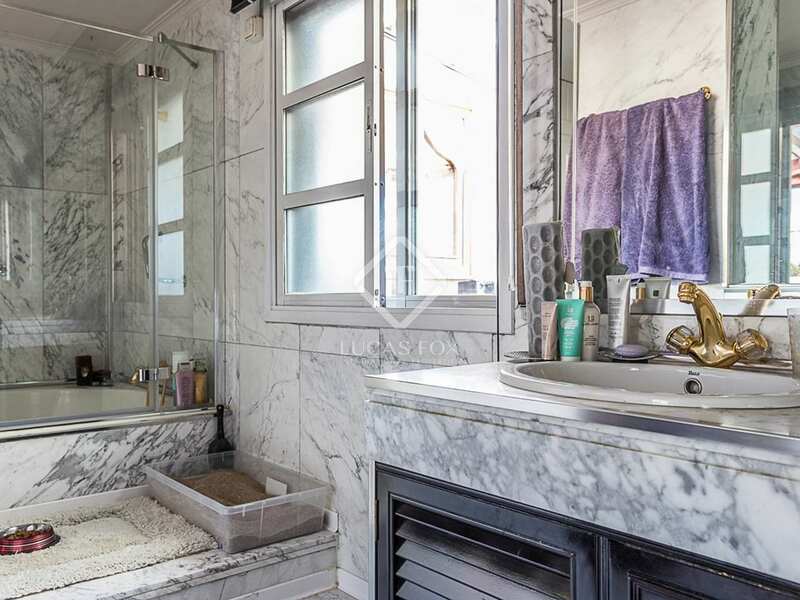 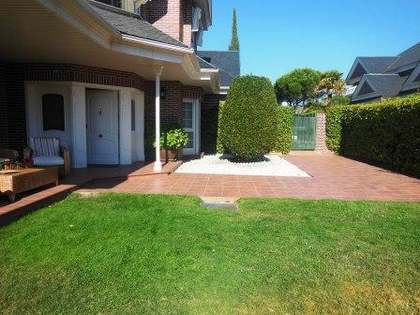 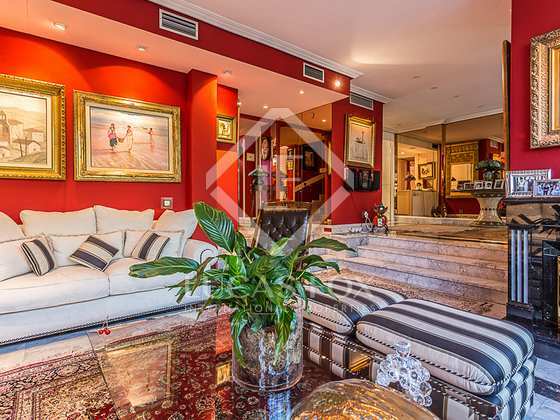 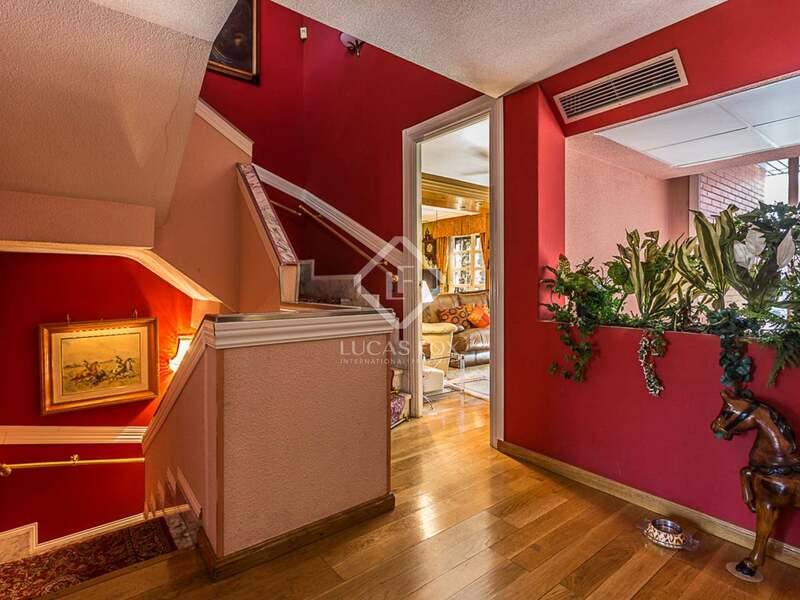 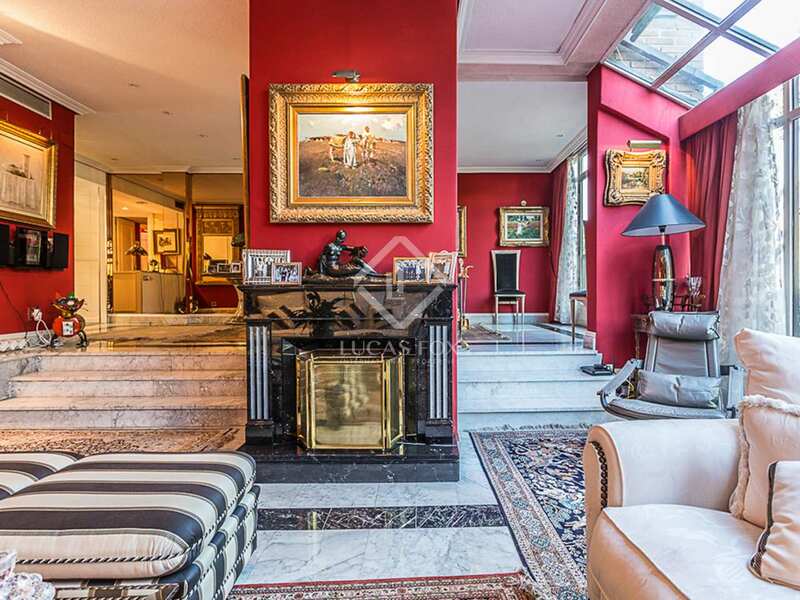 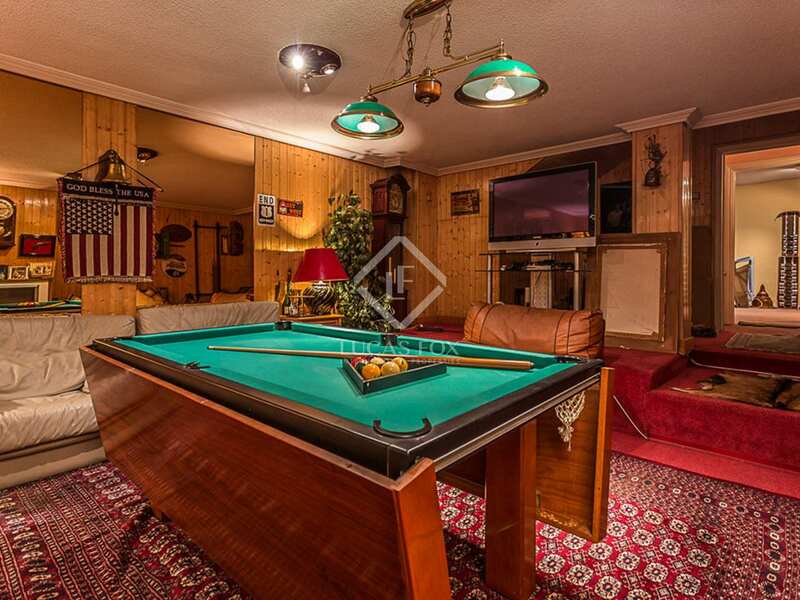 This is a sound investment as the villa is located in an area of increasing value in Madrid. 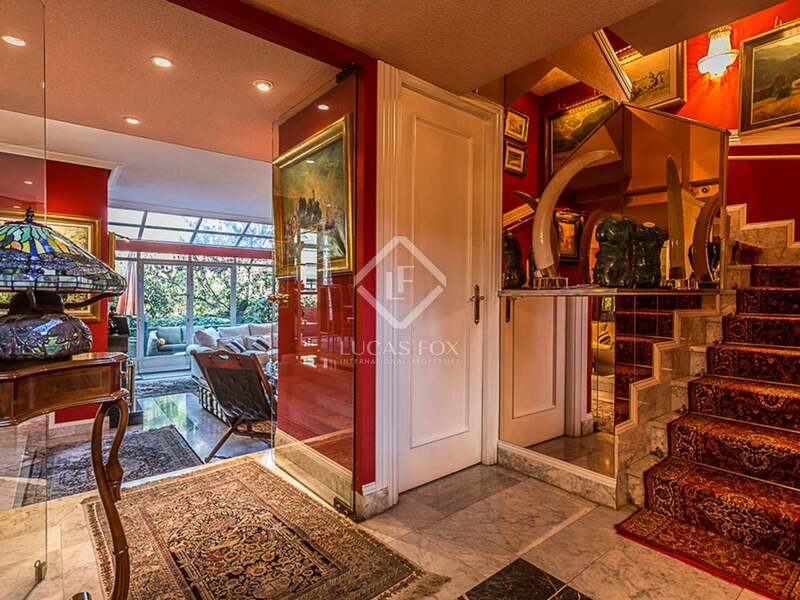 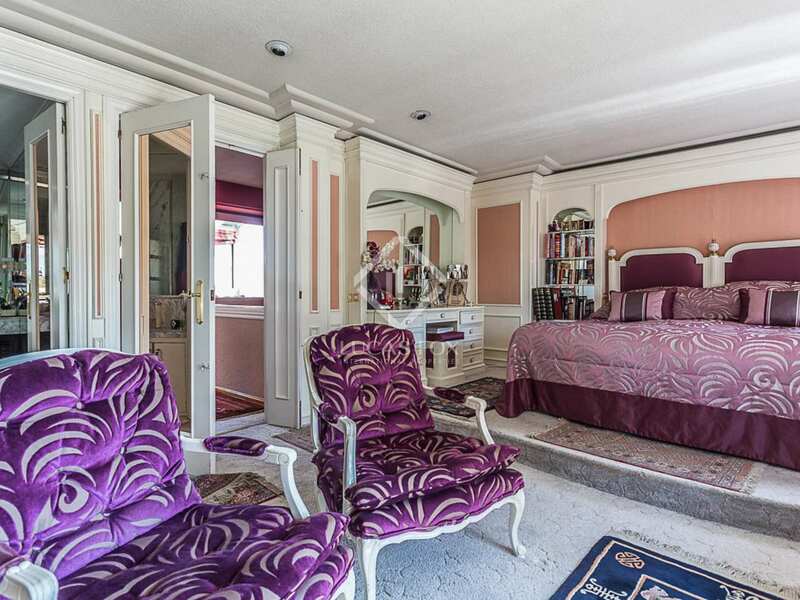 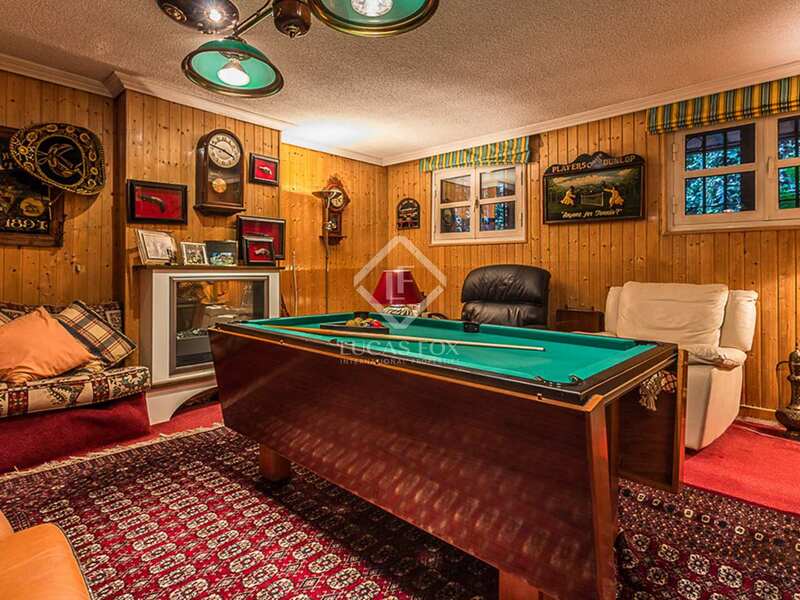 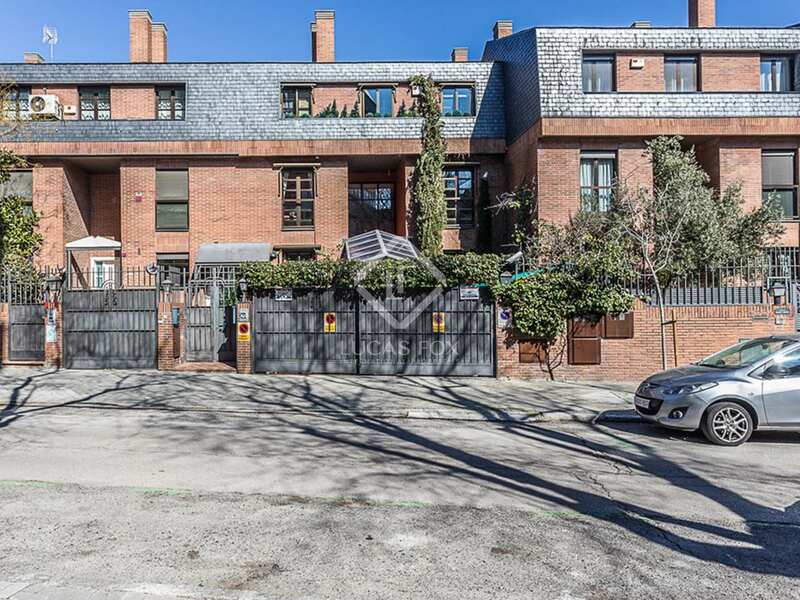 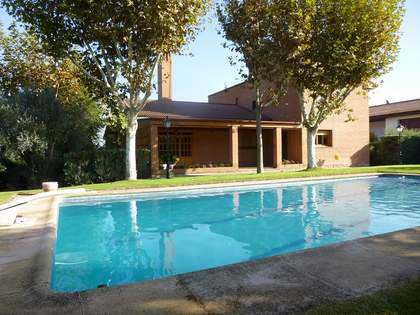 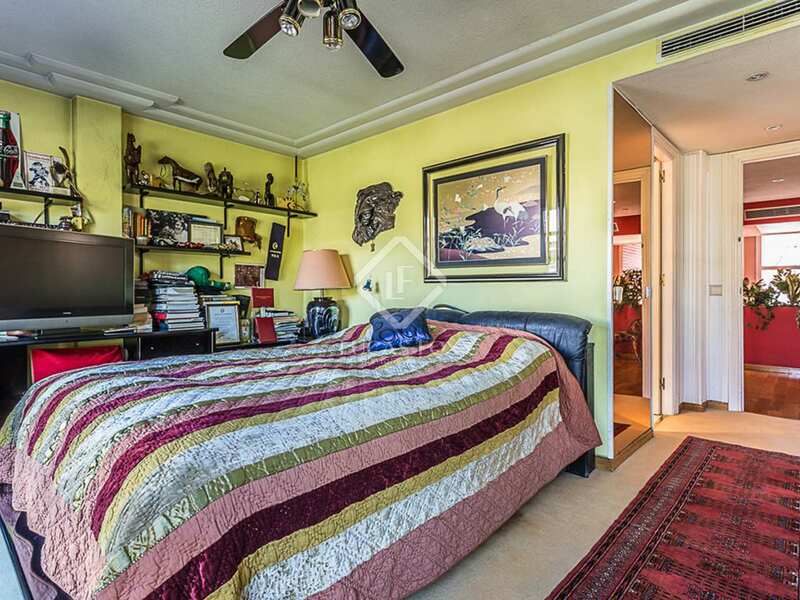 This property is located in the north east of Madrid, near Nueva España neighbourhood. 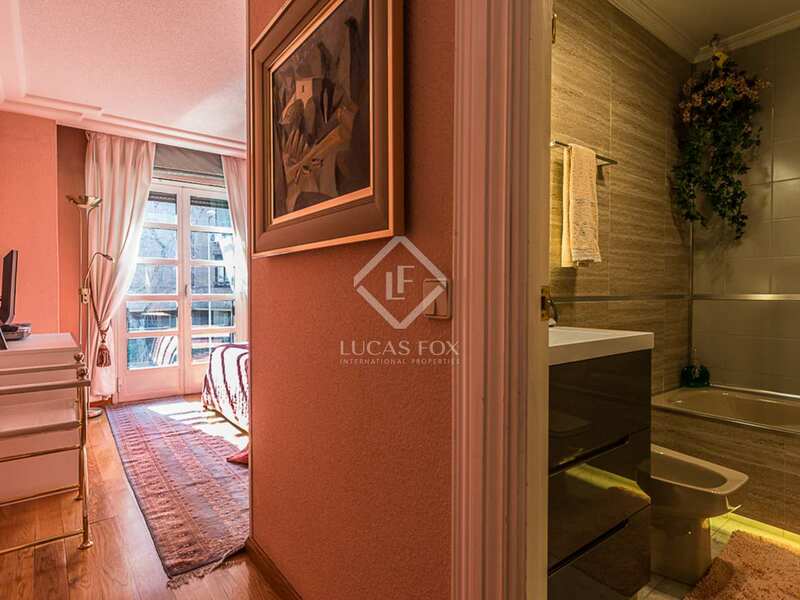 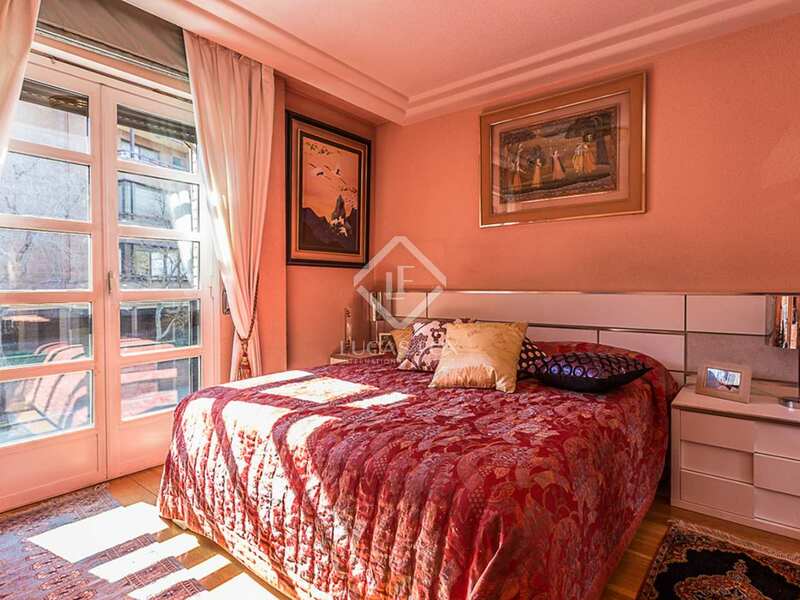 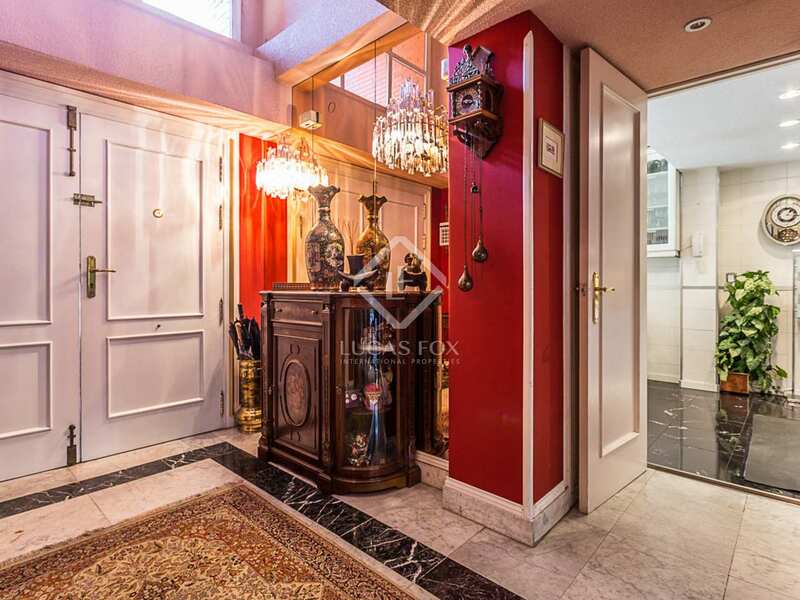 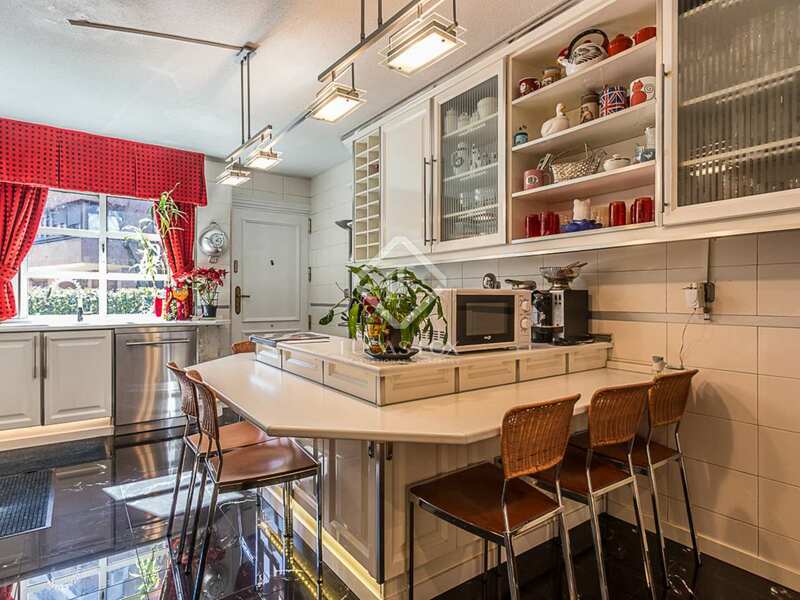 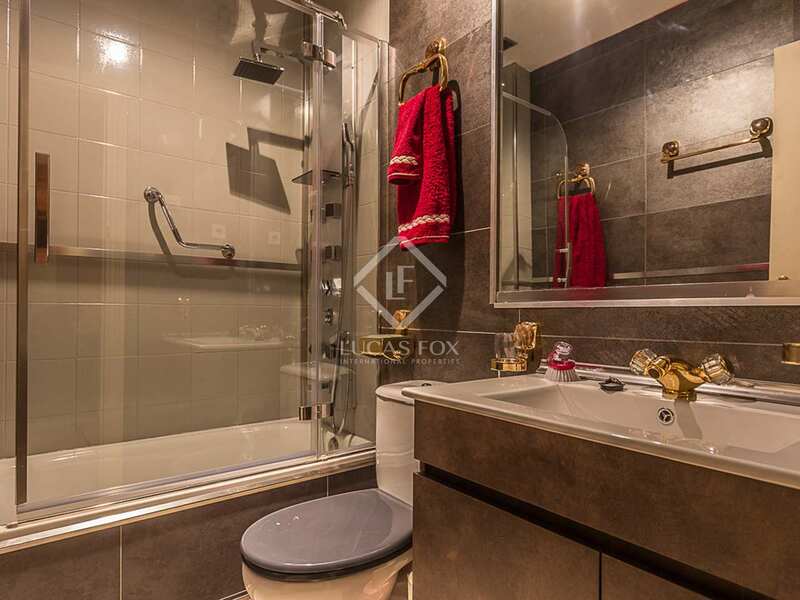 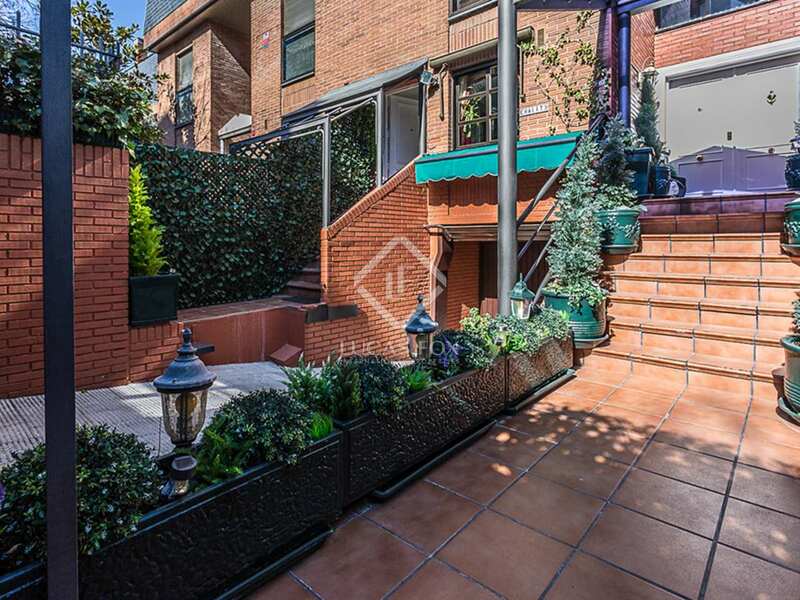 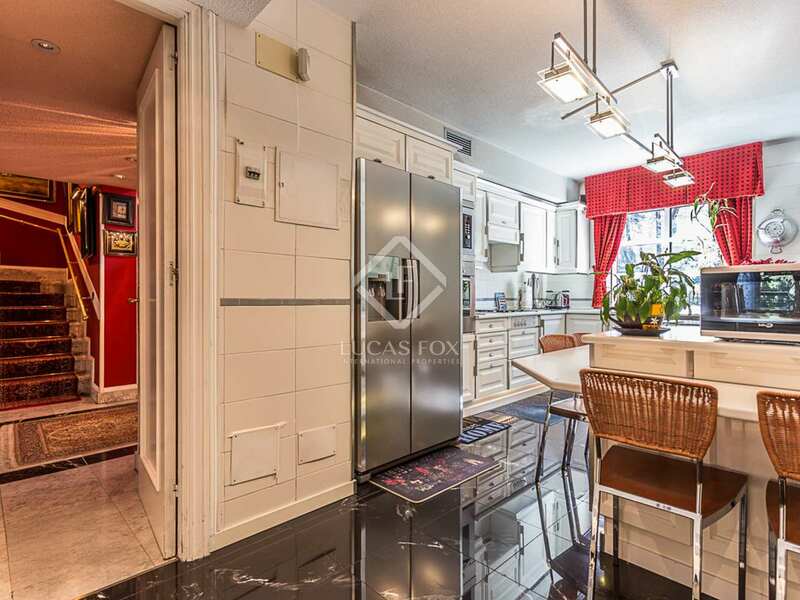 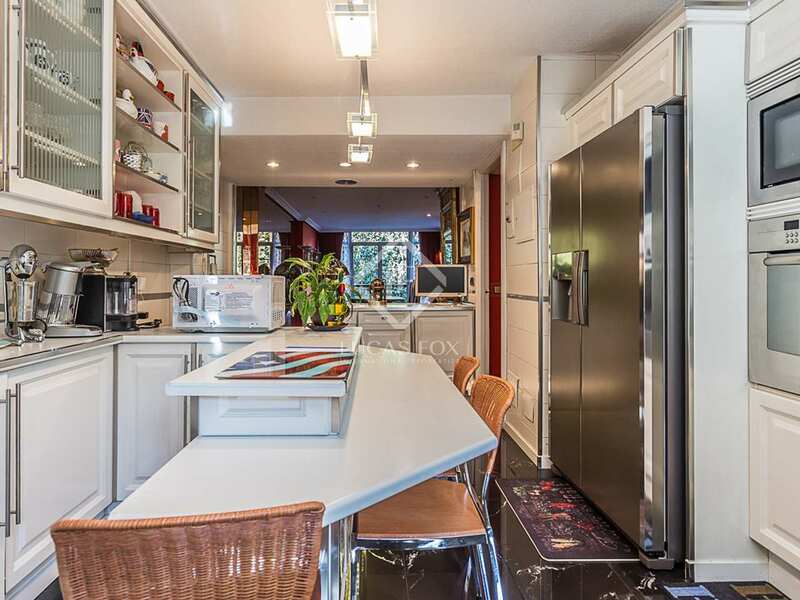 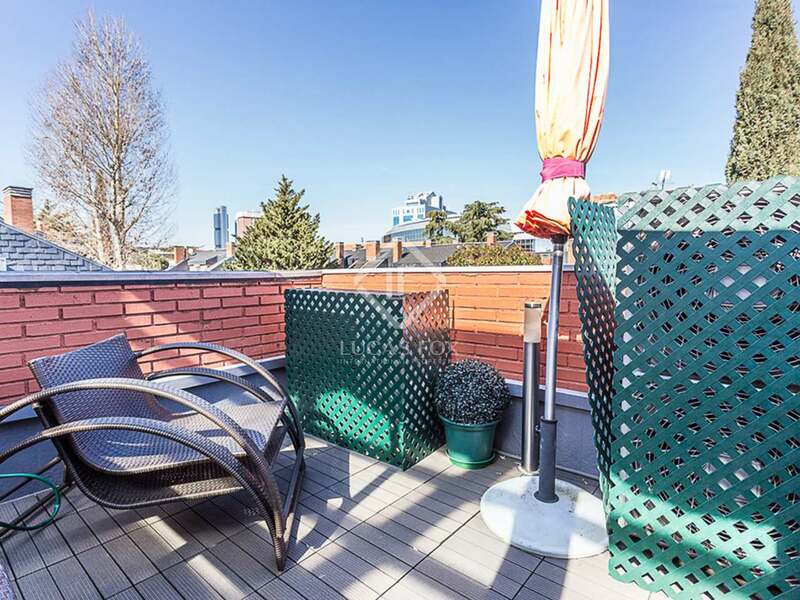 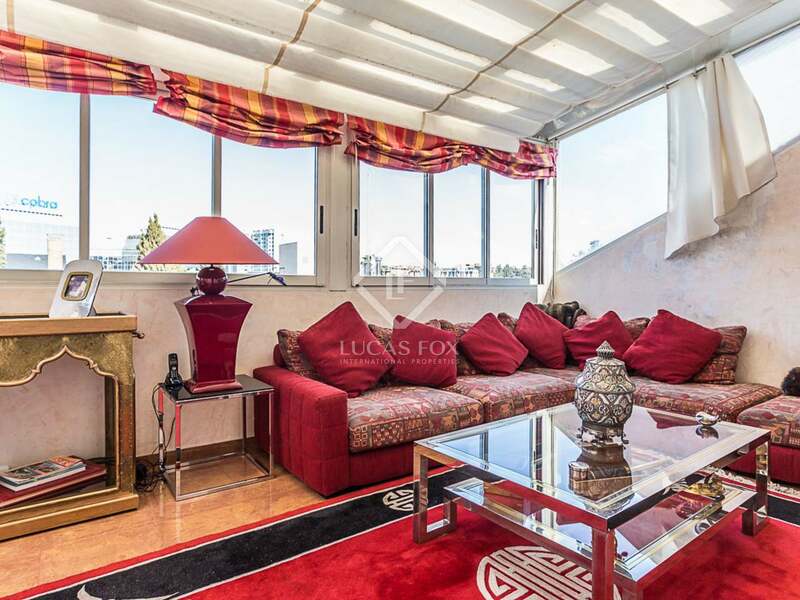 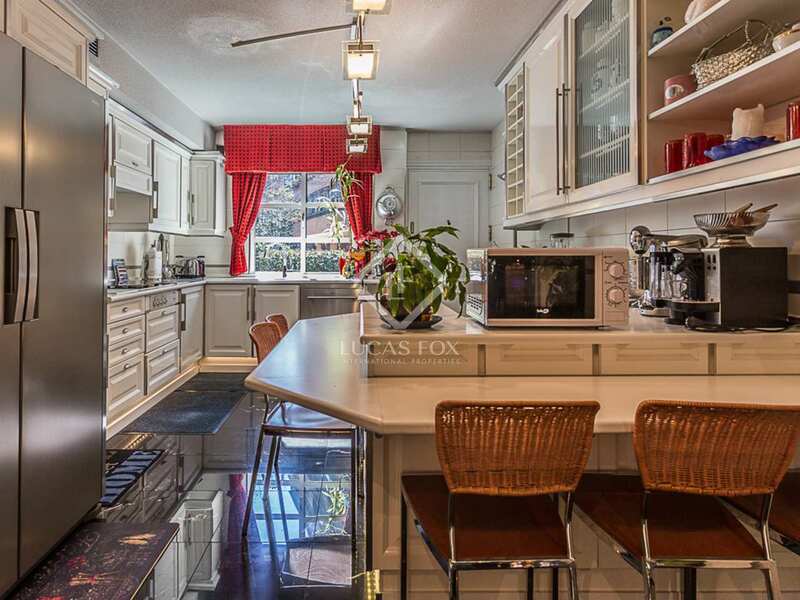 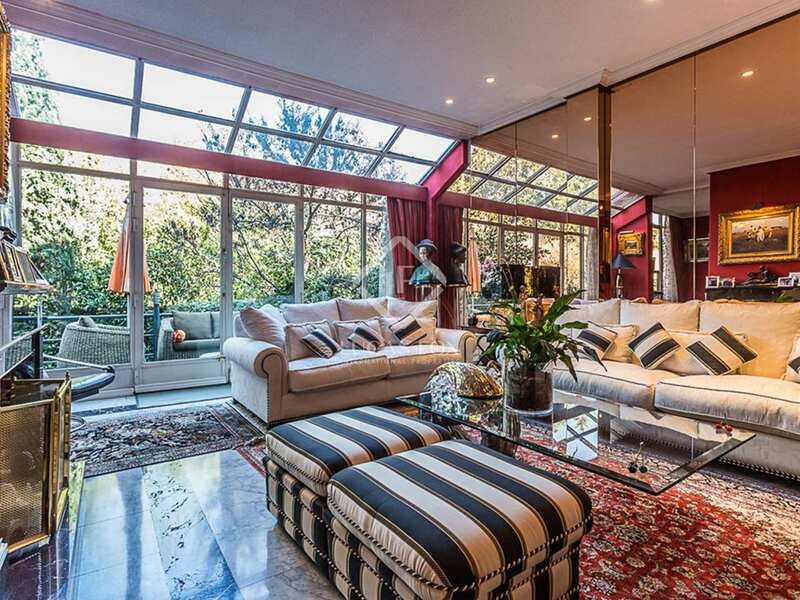 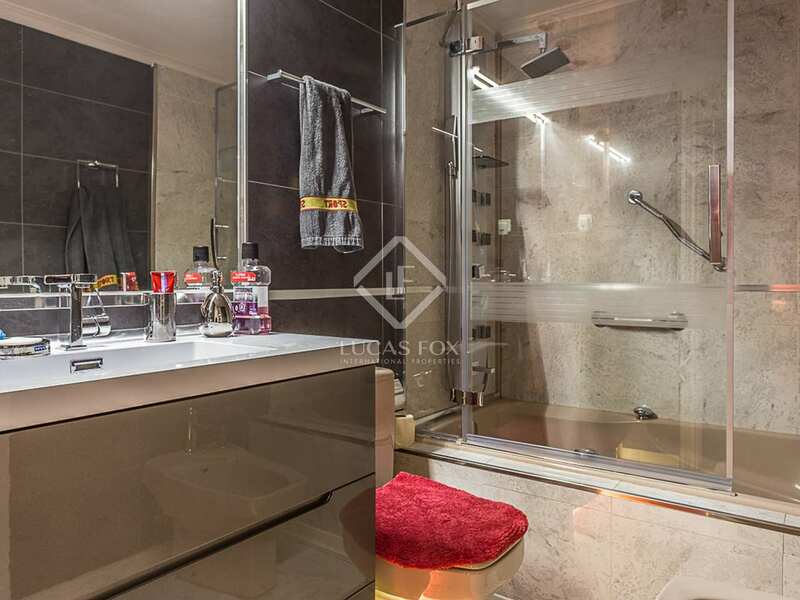 It is near the Duque de Pastrana and Pio XII metro stations as well as international schools, large supermarkets, shopping centres, restaurants, parks, medical centres and the Chamartín tennis club. 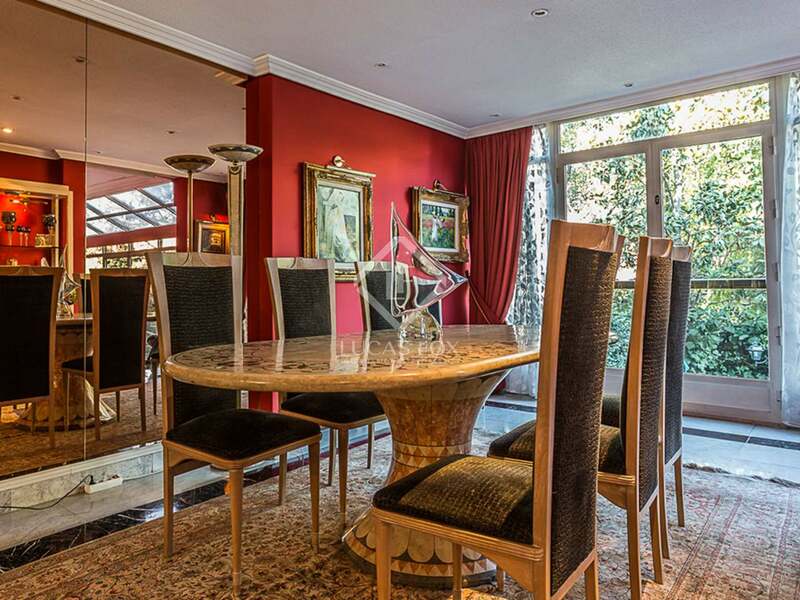 The M-30 exit from the city is just 4 minutes away.